Eight Tips for Surviving a Stock Market Roller Coaster! Bulls and bears. Gains and losses. The stock market is a volatile place, and while the market downturn in 2008 made a lot of folks leery about placing their bets on Wall Street, staying on the sidelines can be as risky to your personal wealth as riding the bull (market). Understanding how to approach stock market investing, and mitigating your personal risks while maximizing your gains, can be challenging for even veteran investors. Don't despair, however we've collected eight tips for investors looking to make the most of the unpredictable ride that is the stock market. Nobody can see the future. But as with most major endeavors, investing in your financial future is a lot less stressful if you put together a plan beforehand. You might not be able to predict every bump in the road, but sitting down to quantify your financial goals and expectations can help you cut down on stress and approach investing with a clearer head. Understanding how you'll navigate your investments begins with knowing what you've got on hand to invest-and how you want it to perform. If you draft an Investment Policy Statement (IPS), you (and your financial advisor) will have a firm idea of your near- and long-term goals, making it much easier to adjust your investment activity as time goes on. A well-structured IPS might contain your goals, your timeline for investment, your individual targets for your money and earnings, the risks you're comfortable with as an investor, and detailed information on how you'd like to handle investment-related matters such as taxes. The traditional 60% stocks/40% bonds portfolio has been subjected to a variety of criticisms since the dawn of the twenty-first century, but it's still a solid starting place for many investors. Selecting the assets that strike the best balance between risk and reward-and reviewing them regularly with your advisor-should be a key component of your overall investment plan. 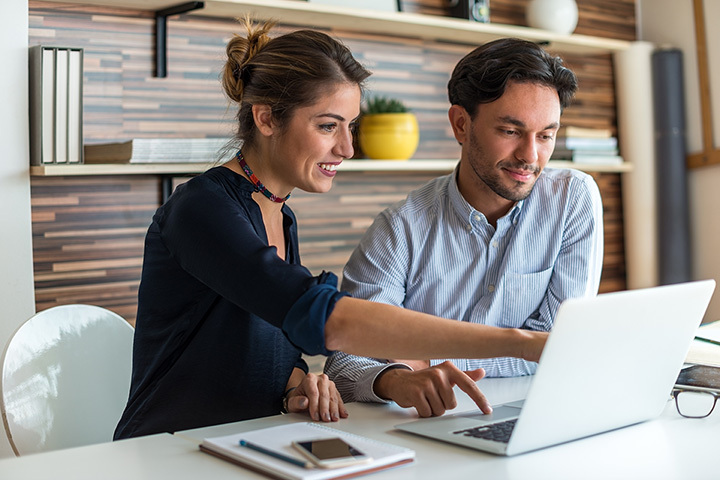 Factors such as age, personal income, and overall target returns can help you determine the best mix for you, and inform any changes as both you and your portfolio age. One of the costliest errors an investor can make is pulling their investment before it's had a chance to generate a decent return. But like quitting your company softball team when you've had a band inning, this strategy is a permanent solution to a temporary problem. Investing in the stock market requires both patience and a willingness to accommodate fluctuations. The stock market is not beholden to the rules of physics; what goes up may never come down-and what has fallen may never rise again. But taking the long view with regard to how your money is performing can mitigate short-term disasters and help you and your advisor avoid missing out on substantial returns that occur only over time. This tip is directly related to taking the long view. Even if you, or your advisor, happen to identify the perfect moment to cash out on an investment, knowing when to get back in can be as tough, or tougher, than knowing when to get out. Given that your odds of making a return on a smart sell or wise buy are slightly worse than those of predicting a coin toss, staying the course makes sense for a stronger portfolio. Market volatility is a fact of the investing life. If you're looking for a way to ease the stress of market shake-ups, building a portfolio of exchange-traded funds (ETFs) can help you tame volatility and still get a solid return on your investment. A subset of index funds, ETFs require a brokerage license to trade (which can mean more fees to your broker), but are very flexible and can act as a hedge against market volatility because they're exchange traded and can be traded throughout the course of the market day. The media is almost inescapable in the Internet age, but you can nip pointless investment panics in the bud simply by turning off the TV and taking a break from Twitter. Every event, from corporate shakeups to natural disasters to celebrity mishaps, receives relentless coverage in the modern media sphere-along with seemingly endless analysis and speculation by "the experts." Whipped into a frenzy by media madness, you might end up making a monetary misstep. If you use a broker, maybe have them switch off, too: a paper published in the September 2014 issue of the Review of Financial Studies found that heavy media coverage affects investment behavior, and can lead professionals to make the same kinds of mistakes amateur investors do. Relentlessly following the twenty-four-hour news cycle can exacerbate the feeling that you're riding a financial roller coaster, and perhaps push you into making a decision that isn't in your best interest. Sticking to the long view-and taking pundits' proclamations with a grain of salt-is better for your peace of mind and your portfolio. Market volatility can be a good thing-or at least, not such a stressful one-with the right approach to investment planning. You can help insulate your portfolio against volatility by making fixed investments at regular intervals-a practice known as dollar-cost averaging. You can think of dollar-cost averaging as being similar to investing in your 401(k). You make regular, fixed investments on a pre-determined schedule. Because the emphasis is on building your assets over time, rather than trying to "game the system," you reap the benefits of the market's overall upward trends and gain a steady benefit over the course of your investment. If prices are high, you get fewer, more valuable shares; if prices are low, you get more shares that will increase in value (taking your portfolio with them) when the pendulum swings the other way. Either way, it's the consistency that matters; what happens in the short term is not nearly as important as sticking to the plan, since the return on your investment comes at the end of it and not in dribs and drabs along the way. Are you investing for retirement, and want to make sure you've got what you need, when you need it? Let's say you've already determined how much money you'll need for retirement-living expenses, medical coverage, discretionary funds, etc. You can leverage a method known as liability matching to help make sure those funds are available to provide for these expenses over the course of a time period you specify (as opposed to a simple lump-sum return used to cover, for example, a balloon payment on a mortgage). This method reduces volatility by removing the need to set a specific duration for their portfolio, as well as removing the need for constant adjustments (barring sudden and severe changes in the nature of the investments chosen). You should be aware, though, that because this method requires "front-loading" your investments to make sure they generate the desired amounts in the future, you may end up spending more than you would with a more traditional immunized portfolio. Investing in stocks is a balancing act, pitting risk against reward. Are we truly in the midst of a twenty-year bull market, or should we be ready to batten down the hatches against the latest bubble? These are tough questions, and they require a smart, and considered, approach. But by taking the time to plan ahead, work closely with your advisor, and have an open, long-term view of investing, you can survive the sometimes scary stock market and keep your money working for you.